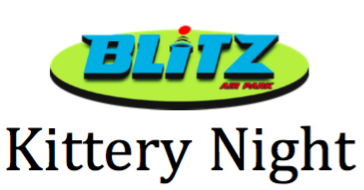 Kittery's Odyssey of the Mind program will hold a fundraiser at Blitz Trampoline Park in Portsmouth, NH on Thursday February 14. Come anytime from 3:30-7pm, and one hour of jumping is just $17, with 20% of the revenue from ticket sales going to the Kittery OM program. Visit https://blitzairpark.pfestore.com/waiver/ to fill out a waiver in advance, and see attachment below for more information.